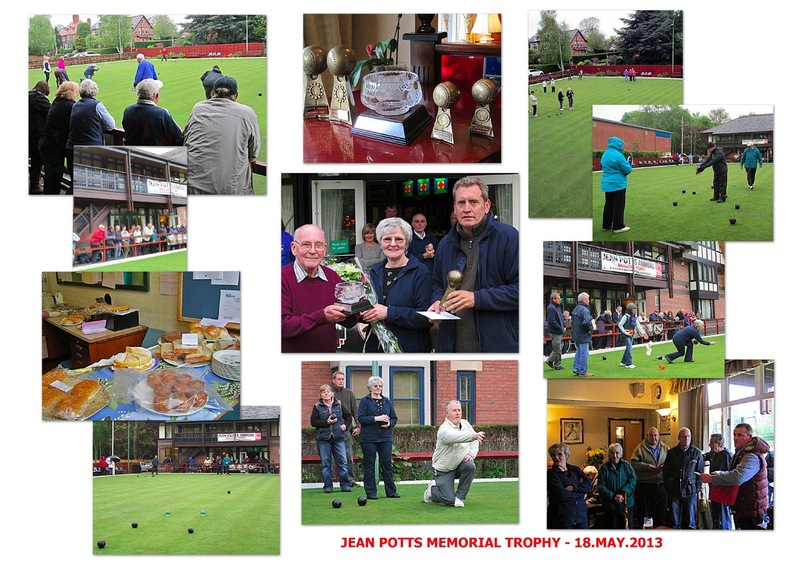 On Saturday May 18th the Club proudly hosted the 7th Jean Potts Memorial Trophy bowling competition. The combination of grey skies and decidedly chilly wind failed to deter the enthusiasm of competitors, supporters and club members alike. The threatened rain thankfully stayed away and everyone made excellent use of the Club's adjacent warm and welcoming lounge, with its buffet food and hot drinks and bar. Once again the charity aspect of the event proved to be a great success. In fact, this year we topped last year's record amount to reach a total of £406 for the British Heart Foundation. A fantastic achievement for the event and everyone involved. 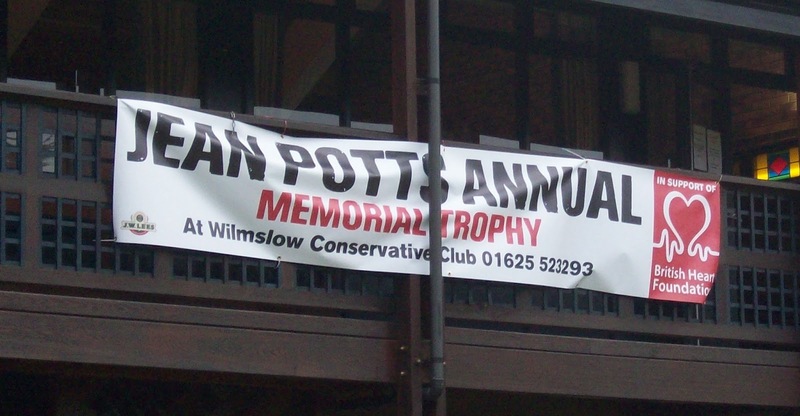 Alan Potts would like to take this opportunity to thank everyone who helped make it such a successful day, especially the ladies involved with the buffet's sandwiches, cakes, tea and coffee, plus all those who donated prizes for the highly successful raffle. The final turned out to be tense match with our own pairing of Steve Kingston and Pam Wynn pitched against Knutsford's CrossTown Bowling Club members Nigel Blackley and Heather O'Hanlon. 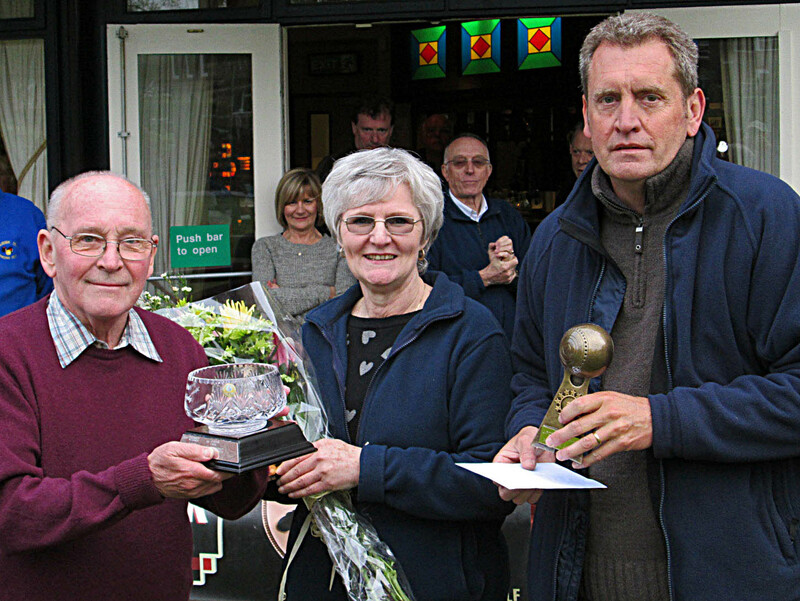 And we're happy to report that as Steve and Pam came out the winners, the Jean Potts Memorial Trophy stays with our this year. Club member and keen photographer Brian Smith took and above winner's presentation picture and constructed the pictorial montage of the day. (Click the image to see a larger version).